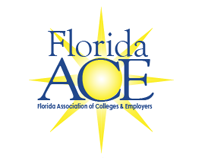 There are three ways to become an Honorary/Lifetime Member of FloridaACE. The first is to complete a term as President of the FloridaACE Board of Directors. The second is to receive the John T. Brownlee Leadership Award. Members may also become Honorary/Lifetime Members of FloridaACE by a Board vote for exemplary service to the association. Note that Honorary/Lifetime Members must renew from year to year in order to remain active with the association. If you are an Honorary/Lifetime Member who needs to renew, please contact the FloridaACE Secretary if you need assistance.